Whether you have a strong gag reflex, dental anxiety, or would like to complete multiple treatments in one visit, sedation may be the answer to ensure that your emotional & physical comfort is taken care of while we care for your teeth. Oral sedation is the most common form of conscious sedation. Oral medication puts patients at ease but not to sleep. Many patients often do not recall the smells, noises or lights associated with their dental treatment. Patients will need to arrange for a safe ride home after their appointment. Nitrous oxide (laughing gas) is a fantastic form of light sedation to help take the edge off during your dental appointment. It is safe and easily administered through a nose mask throughout the procedure, leaving the patient less aware of pain and less anxious, while still being able to interact with the dental team. It requires little set-up, works very rapidly, and leaves the system quickly, allowing patients to function normally almost immediately. 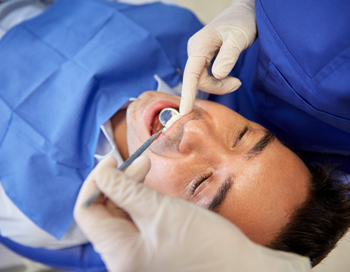 This form of sedation lets you function normally after your dental treatment is over. You can even drive yourself home from your appointment.